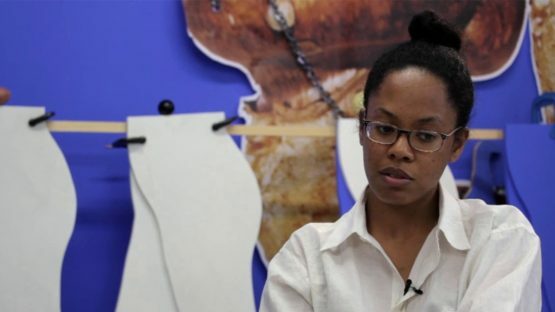 Anthea Hamilton is a British artist, one of four shortlisted for the 2016 Turner Prize. Hamilton was born in 1978 in London, where she lives and works. Her bold sculptural assemblages often feature oversized cut-outs of eclectic photographic images, from pasta to pop-cultural icons.